we are still on our 100 Day Tour through South East Asia till the 24th of December. Time is going by so fast, today is day 87, but we are happy to be home for Christmas. In the following days I want to take you to a food journey through South East Asia and show you our favorite dishes in the countries we have visited. The Food in Thailand is amazing! 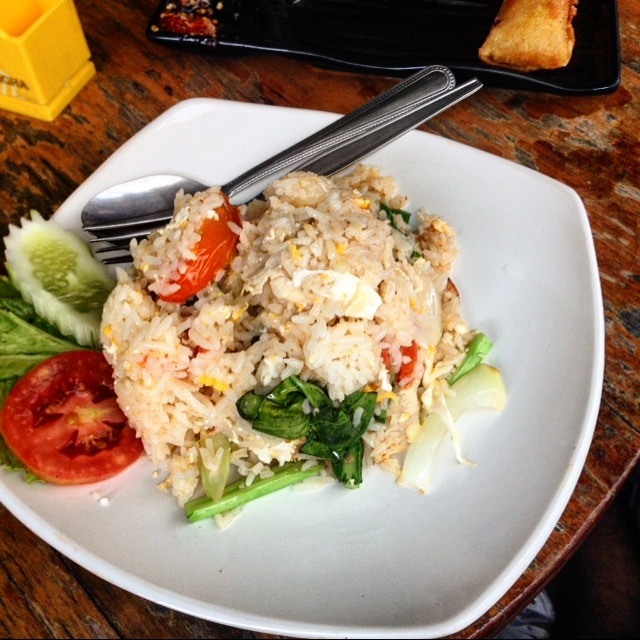 The Thai Cuisine offers a lot of different dishes, most of them in combination with rice or nudels. We stayed in Thailand for 1 month and we didn’t get bored there. They have a huge variety of (fried) rice dishes. I really like rice with garlic chicken and chicken with cashew nuts and rice. 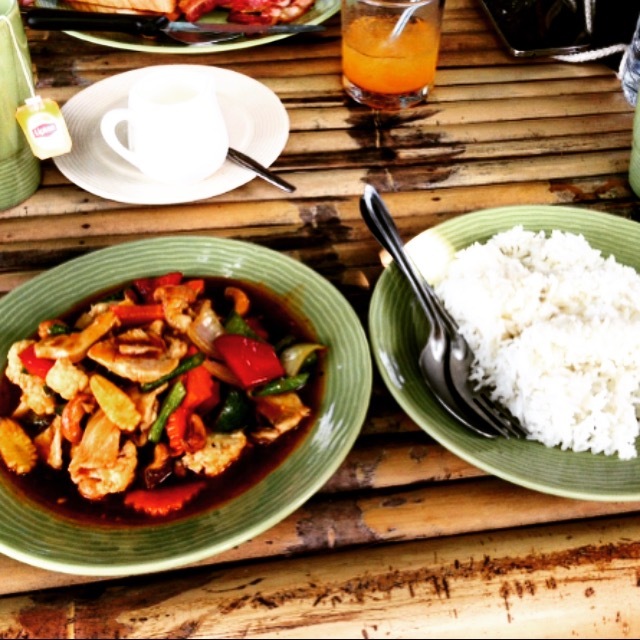 This was my breakfast in Koh Tao: Chicken with Cashew Nuts and Rice. 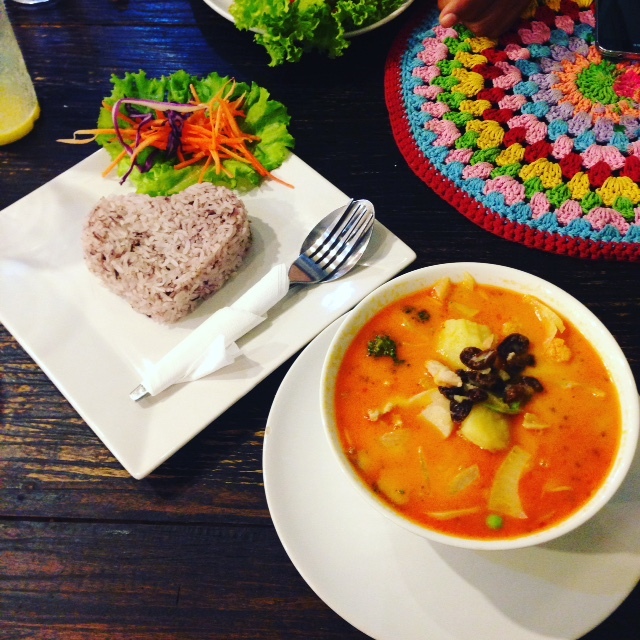 Thailand is as well known for it good Currys, which you can eat like a soup or with rice. The red, yellow and green Currys are a little spicy. But how spicy it is depends from the region or city you are visiting. My favorite Currys are Massaman Curry and green curry with chicken. This is the delicious Massaman Curry with Rice in a little Restaurant in Pai. Massaman curry is a medium spicy dish with chicken, potatoes and peanuts in it. 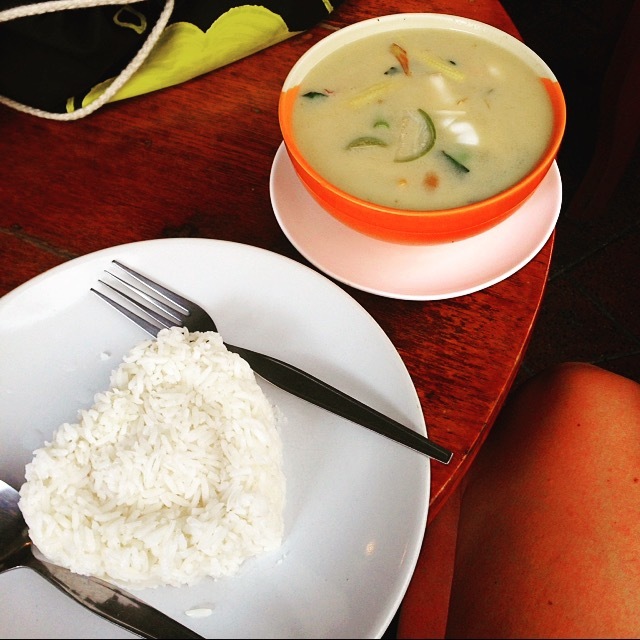 What I love about the green curry is the special seasons and the delicious Thai aubergines. 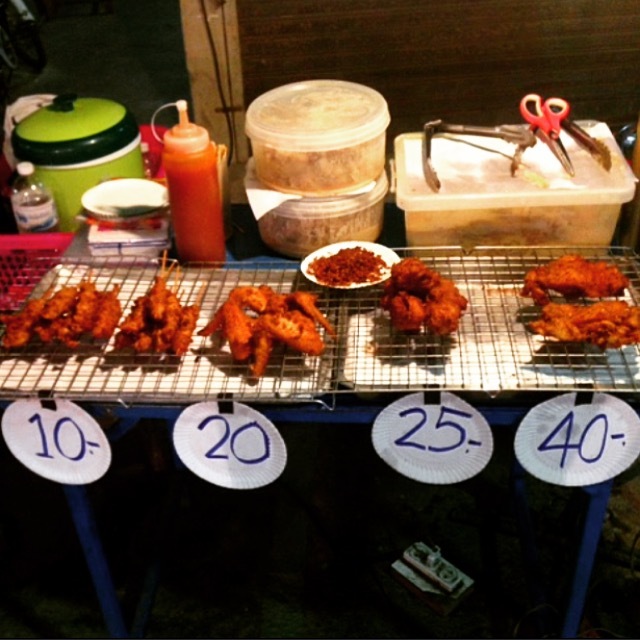 What you can get on the street food stands, for example on night markets, are chicken, pork or beef skewers. These are incredible cheap and a easy little snack for your way. Don’t miss out on the amazing fruit shakes, which are fresh made and refreshing. Pick your favourite fruits and enjoy your vitamin drink! My favourite mix is Mango with Passion Fruit, that is soooo delicious. In Pai it was only 0,75 Euro, what is less than one single passion fruit costs in a Supermarket in Germany. 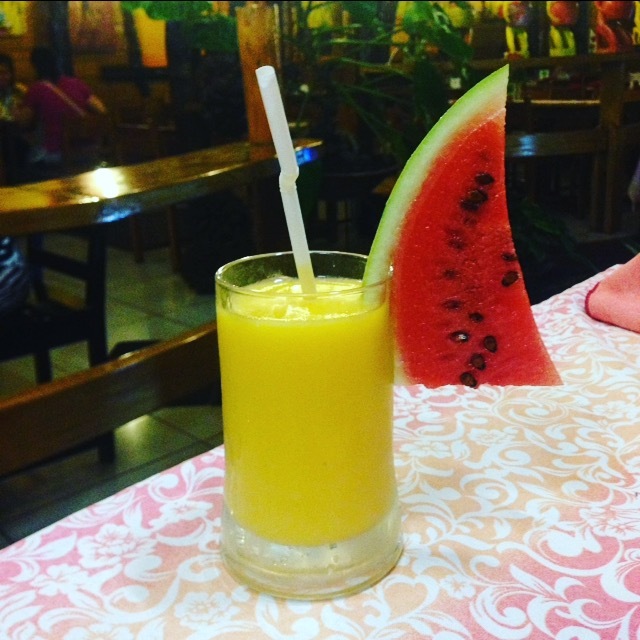 Mango-Shake: I could drink that every day! On the streets in Thailand you can find Pancake stands as well. These pancakes are so delicious, but very different from the pancakes we know or make. They are made in front of you in their little food stand out of a not fluent Doug. I love the Thai Pancakes with banana and Nutella. Of course in the touristy places you get a lot of western food as well. 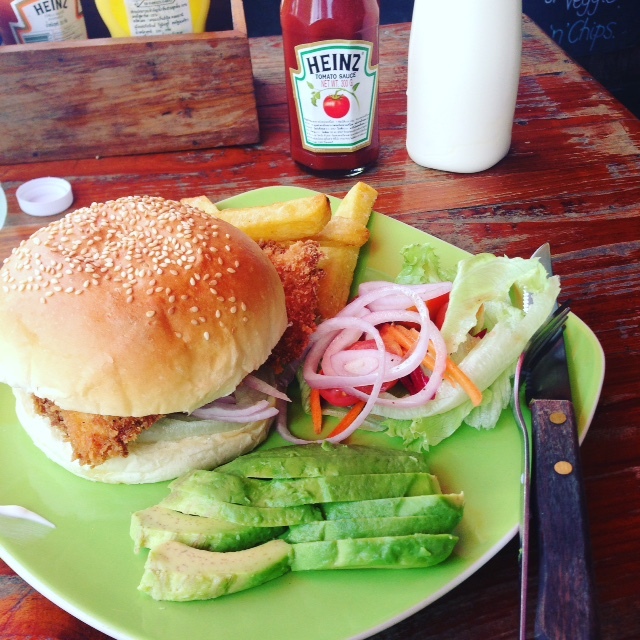 Pasta, pizza, Burger, Schnitzel, tacos and burritos and everything what you can wish for. And some places make fantastic western food. 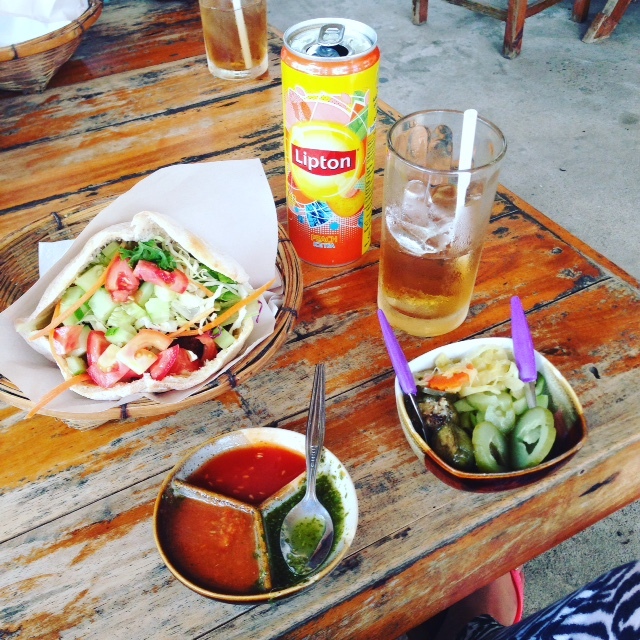 One of the best pizzas I have ever eaten is made in a little trattoria on the Island Koh Tao or Pita Bread filled with meat and vegetables in Pai. Delicious Pita bread with chicken and salad.